A few Months Ago, I started doing Event Niche Blogging for some experience, not just for money. I was looking for the process or I should say, the reason and the method of ranking new event based Blogs. So, being a sport lover, I started my first event blog on CPL (Cricket). That was just for fun, but while doing the fun, I was able to get almost 160k page views (Screenshot given below) with No real link building, just by posting 250 word articles. It was a 36 days tournament with 24 matches, but I left almost 10 matches, which Means I got these page views in Less than 20 days, which was very good, especially when I was just doing it for experience or just for fun. But after that event, I got a little serious about Niche Blogging and What a Coincidence, In a few days I got a partner “Chetan Gupta” from GlobalCraze.com, who was looking for a partner to start his 1st Niche blog. 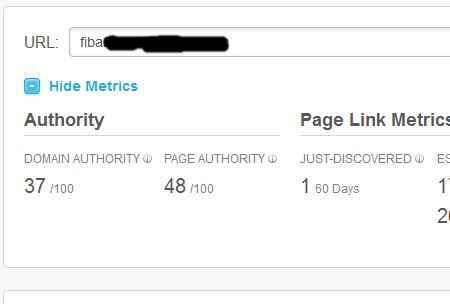 So, we collaborated and started working on another Sports Blog “FIBA”, where we started working almost a month before the event, at-least a single post daily, doing proper on-page SEO and creating tons of backlinks from Auto-Approve, Comment Luv, and response enabled sites. So, after all efforts, The results were great. You can see it yourself (See screenshots). The real Time crossed the 1550 mark, but we missed the screenshot. So, these are the stats of our blog after so much hard work. The 1st event is always difficult, after that, everything becomes a little easier. So, we did a lot of hard work. After then, we started working on some more projects. So, I didn’t get the time to write a post on it, but I continuously got many messages containing questions about Event blogging. So, that’s Why I decided to a Comprehensive guide on it to Help People get success. The first step you should take, is collect keywords after some research and make a list. Remember, You should only select High searched short tail keywords, all other related long tail phrases will automatically get targeted, when you target short tail. If you are going for sports event, then you must use your mind to include some keyword variations in the list. In our case, we only selected three highly popular keyword that is present in the Google instant search and then, used all variations in our posts to make sure, we target every long tail phrase. Note:- This step is the base, so make sure you do it carefully. As you know, Google gives emphasis to old domains, So if you are looking to rank for very high competitive keyword and looking to beat big brand sites, then you must buy domain 1-2 months before the event. And also, make sure, it contains the main base keyword. You can go for short Tail (2 or 3 words), whichever is available to buy. For example, If you are looking to buy Domain for Diwali event, then it must contain “Happy Diwali 2014” which is the base of all other Diwali keywords, people might search. Feel free to contact me for any more help at this point. This is very common, the more you post, the quicker your event blog rises. In our case, we started posting content a few days after buying the domain and then continued posting at-least one article daily. So, at the time, when we started link building, we almost 10-12 posts published on our blog, which makes ranking higher a lot easier. But remember, keep some important On-Page SEO factors in Mind. So, this is how you should use Title and Meta tag. Remember, both sections only allow you to add a limited number of characters. So, use variations to cover all keywords. And also, do the same for Post Permalink and Post description. If you really want to get success in Event based Niche Blogging, then these tags are really important for you. We used All heading Tags (H2, H3, H4), Image Alt Tags (Alt Text, Alt Title), and Formatting Tags (Bold, Italics, Underline) in each post by using LSI keywords. It really worked for us and I am sure, it will work for you. For example, If you are targeting, “FIBA live scores 2014”, then you must use all related keywords like “FIBA World Cup live Scores”,”FIBA 2014 live scores”, etc. in all the Heading, Image Alt and Formatting tags. It is really the best way to rank. If you still have any confusion, then feel free to contact me for help. As you know, Internal Linking is the best way to engage users deeper into your site and it also passes link juice from one page to another. But in Event Based Niche Blogging, you can use it rank higher. In each post, you must include 7-8 Links of other related posts using your targeted keyword as Optimized anchor text. Google gives emphasis to links, more than any other thing, so you can easily use it for your benefits. Link to your homepage using the Domain keyword as anchor text. Put Some Main Quality Posts Links in Sidebar or Footer. Here comes the most important factor in Event based Niche Blogging. Frankly talking, it will the most difficult from all the above given points, when you first do it, but later on it will become easier. Firstly, I will show screenshots of our backlinks, we created for our event blog. As you can see, 126 Domains linking to our blog, the Link influence score is 53% which means links are of high quality and the Nofollow links percentage is 51.5%, which means we calculated the Nofollow, dofollow ratio very well. Now, I move and let you know some points from my experience, which will help you. I have seen many bloggers, just increase the number of backlinks from a limited number of sources, which is not the way to rank event blog. Because Google will gives importance to root domains, than backlinks. In simple words, Getting 1 backlinks from 1 domain or getting 100 backlinks from 1 domain is quite same. It will not have any differences, but getting 100 backlinks from 100 domains will certainly push your blog Up in the rankings. Note:- To Beat Popular Websites for a highly searched keyword, you will at-least need 100-150 root domains. As you know, Google loves natural links and gives boost to sites having natural links. So, How you can make your event blog’s backlinks look like natural? Well, the simple way of doing this, is by altering Anchor text. If you are using same Anchor text for all the backlinks, then you are calling the Google Spam team to put Manual Action penalty on your blog. You should only use the same anchor Text for about 15-20 root domains backlinks or 25-30 dofollow links. After then, you must alter it smartly. For example, “FIBA World Cup 2014″, FIBA 2014 world cup”, FIBA world championship 2014″, etc.. These keywords may look like same to the Human Eye, but it will not look same to robots. So, as a result, the Google spam team will never find out your blog and for sure, you will higher for all of these anchors. Event Blogging only needs Lots of Dofollow and some small proportion of Nofollow links, but In case Google is ready to push any New Algorithm update, You blog must have the both type backlinks in the same proportion to avoid penalty. Although you can skip this step as it is not necessary, but in case, you feel your blog is in danger of penalty, you can use this tip to bypass. Many of you have seen your Blog URL blocked by response sites. That is because they have a system which automatically blocks spam. So, to avoid blocking, you should slowly build backlinks from those websites. If you are already blocked, then you can use the redirect method to get links. In simple words, You can buy another domain for the same event, create backlinks for that domain and then, 301 Redirect that domain to your original Event Blog. It will bypass all the link juice to your blog and help it rank higher. Don’t forget to submit your Event Niche blog to Directories which still have benefits in the rankings. And also, how can we forget Social Bookmarking sites like Reddit, Digg, Delicious, etc.. For more help on this, read below given posts. Note:- After all the link building, make sure Google crawl all your backlinks as soon as possible. For this, you can use many Pinging services available online. If you are only focusing on Google, then you are missing out on some traffic from other search engines like Bing, Yahoo, etc..Because Ranking higher on these search engines is a lot easier than Google. So, submit your blog to all search engines, especially Bing and Yahoo. Now, here comes the reason, Why you are doing Event blogging. In simple, You want to earn money and the best way to do so, is from Google Adsense. Everyone knows, it is the best way to monetize niche blogs and in addition, you can use Infolinks, which is also a superb Advertising network. You can use these two In combination without any problem. NOTE:- Only Put Adsense Ads 1 or 2 days before the event, because the majority Events blogs doesn’t comply with Adsense Policies. So, you have to be careful. And also, if you are targeting Live streaming keyword, then use 2 or more Adsense Accounts Alternatively, because using single account will increase risk of the Ban and loss of earnings. So, these are some tips, which worked for Us and will work for you, if you follow them correctly. Now, In final few words, I just want to tell you that, Event blogging is not just about money. I have seen many, posting spammy articles and trying to rank and earn money. It is not the way to go about. In simple words, you are ruining your future, because if this continues, Event blogging will be dead very soon. So, always provide quality articles even on Event Niche Blogs and the best way to do, is to choose your favorite events like we did. Your Interest will help you write quality posts very quickly. But in the end, it’s your choice, Only thing, I can do, Is to advice. The final choice will be yours. Also read:- Is Event Based Niche Blogging Worth Trying (in Future)? So, that’s it. Now, if you any question related to Event Based niche Blogging, then feel free to ask via comments or contact me for help. Great event blogging post but I have an doubt on how you want us to internal link as you want to link other post using targeted keyword of that particular post or you want to link with respective page keyword bit confusion on this process for long time please help me to solve it. Really helpful post for event blogging…!! I love event blogging and I come to know that It’s one of the most easiest way to earn some decent amount but you have to focus. Event Niche Blogging is very much saturated now a days . Hardly success comes now as more and more bloggers are targeting for easy money. Thanks for sharing valuable information on event blogging . It will help me in future events. As you have mentioned about the anchor text diversity while linking, I think you are talking about internal linking within posts only. Or you want to say that one should put different keyword while commenting on other blogs, instead of name? Kindly correct me if I am wrong and also put some light on this topic. I am talking about anchor text diversity in backlinks. Not on blog commenting,b ut there are many other ways to build backlinks where we put our targeted keyword in anchor text. But using same anchor text again and again will make it look like Manipulative which Google Hates. So, we need to vary anchor text in case of Event blogs. But if you are talking about Long term and you are using Name as anchor text while commenting, then keep using, no harm in it. Thanks a lot man ! Appreciate your work. I do not see any Adsense on your current blog. Were you banned from Adsense as well for even blogging? Read our latest Event Blogging case study “http://www.onlyloudest.com/event-blogging-case-study” You will get answer of your question. Bro, is it possible to rank in a month..? Nice tutorial bro.Will try my luck in some event blogging.With Very special thanks to you. Really very impressive article for Event Bloggers. Will surely help all the event bloggers. Very nice and confidential post. Why didn’t you tell this only me. It should be private but you revealed the most confidential thing on blogosphere. So be prepare for tough competition. Thank you very much bro. Thanks for your guidance.. now a days nobody is willing to help newbies but you have shared everything. your post is superb bro you write every part of niche blogging we are batter understand all of your topics. great guide bro…thanks for sharing tips for event blogging. Thank you for your damn superb article. Ofcourse, this article inspire and motivate to start event blogging, Atinder. Keep sharing, Keep it up ! Which type of domain will be best “exact keyword match” or “partial keyword match” for event blogging ? I’m planning for event blog & as it’s my first take on this..I learned it’s not at all easy to do event based blog planning, and we need to be ready at least 6 months to make our event niche blog successful. Thanks for this detailed article! I am working on event blogging and looking for actual great stuff! I was right now, working on an event and searching that how could i become successful in it. I really wants to say thanks to you for sharing this trick. As, their few things. Which now, i am going to implement and i hope that this time it works. Thanks for sharing the Article is about to Comprehensive Guide to Event Based Niche Blogging. Very informative and interesting Article. Great points included in the post. I liked it. For making event based website it important to link pages with each other so that people get easily connected and that will boost seo too. this is a awesome post thanks bro for sharing… am a regular reader of onlyloudest…. Can u plz explain about that 1500+backlinks which u created in one month. 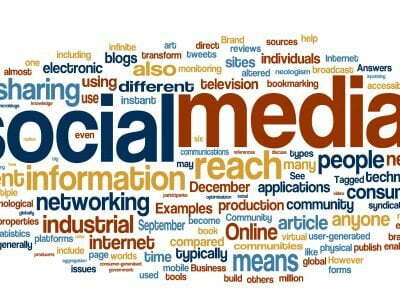 are these comment do follow backlinks. if yes can you plz share some ways to get these do follow comment backlinks asap. Well, some of them are dofollow and some are nofollow.. I will share the sources soon. Stay Tuned on OnlyLoudest. Thanks Jigar for your feedback 🙂 All the best for Event blogging.